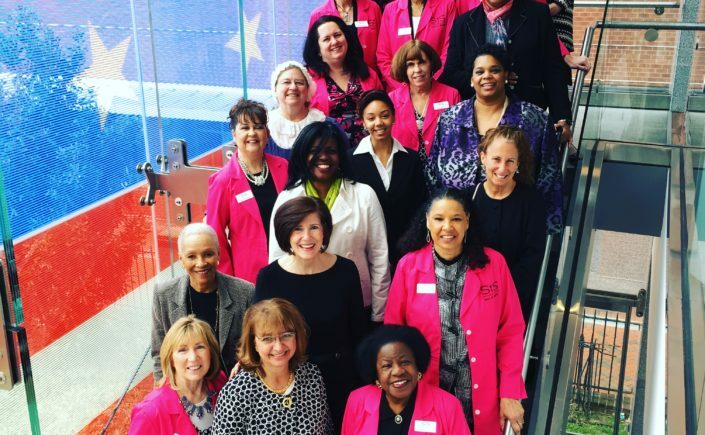 On Friday, March 24, 2017 the Star-Spangled Banner Flag House awarded the fifth annual Mary Pickersgill Award for Women’s Leadership in Business to Jeannette Kendall, founder and director of Success in Style. Success In Style (SIS), is a non-profit that helps disadvantaged men and women find employment by providing them with interview attire. She is a Fashion Institute of Technology trained fashion designer with experience in the NY garment industry. Her former business, Elegance in Style took her to venues around the country teaching women to be expert consumers of fashion: considering professional needs, color, body type and personal style – an early version of “What Not to Wear”. She realized that the women who needed her services most could not afford the seminar and so she turned her focus to begin a non-profit to serve the women in her community. Fifteen years later, SIS has six studios for serving disadvantaged clients (now men and women) in the Baltimore-Washington corridor and four upscale resale boutiques that provide 95% of the funding for the organization–all run solely by an army of dedicated volunteers. In 2014, Jeannette was recognized by her local Chamber of Commerce as Entrepreneur of the Year for her ability to turn straw into gold for the benefit of the community. The business model for SIS sells donated items, not used for interview attire, to pay operating expenses and purchase needed items. The family of stores includes a beautiful resale bridal salon, Cherie Amour.